There can be no doubt that writing ink is one of the most significant inventions in the history of human civilization. It surpasses in global, historical and cultural impact even the wheel, the stirrup, or the plough. Liquids for writing and drawing on flat surfaces were discovered by many cultures independently, but first evidence of their use goes back more than 3,000 years. Ink also has a fascinating, complex chemistry, which is the subject of my article for Pen World magazine. See here for a PDF version of the article. 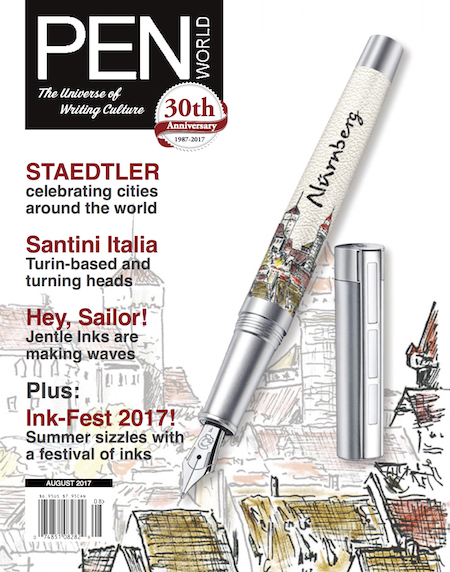 If you love pens and the art of writing, please subscribe to the magazine! This entry was posted in English, Work on August 2, 2017 by Reinhard Kargl.